The North Las Vegas campus is comprised of multiple buildings providing an efficient infrastructure layout for the entire organization’s needs. 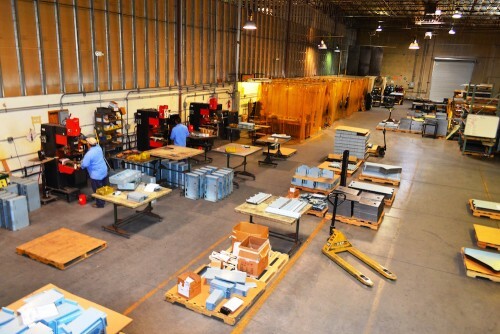 We have over 160,000 sq. ft. of total space for design, fabrication, assembly, and administration. 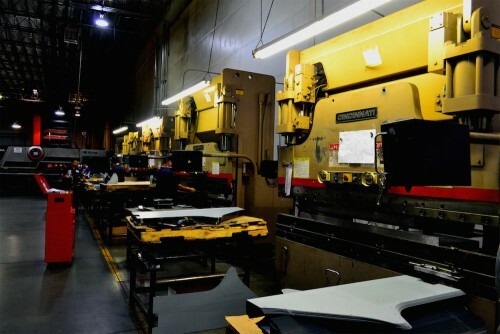 The plant is separated to ensure maximum productivity across all departments by collocating functions for efficiency, or isolated for confidentiality reasons. Our plant’s capacity allows CKI to scale as necessary to the short- and long-term business demands of our customer partners. We have sufficient machinery to grow over 200% of our current output, along with a strong local labor pool to ramp up as the demand requires. Additionally, we have the flexibility through our American Locker subsidiary to move resources around to ensure a customer’s requirement is handled uniquely and not just placed into a gaming product queue. As shown below, we take significant pride in our facility and that manifests itself in the level of care and attention each team member shows to the common spaces. We are a plant designed for growth and quality. CKI is the right decision for your sheet metal needs.